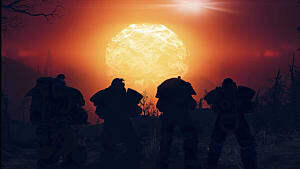 In order to grasp the scope and complexity of all mechanics available in Fallout 76 players will need to spend hours upon hours of gameplay. 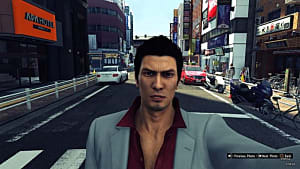 The main aspect of the game is survivability and exploration, which may turn out to be not as simple as many players think, including the die hard fans of the franchise. That is why it's so important to be prepared before venturing out into the unknown areas of post-apocalyptic West Virginia. 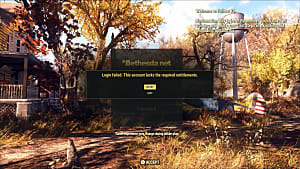 Whether you played the beta or not, it is super important to learn as much as you can about Fallout 76. So follow our beginner's guide below for some of the most essential tips that will help you survive the early game. 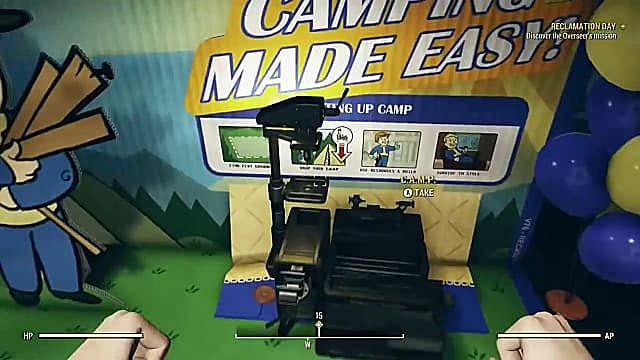 The very first thing you need to do in the game is to pick up your CAMP system in the vault and set up your CAMP outside of the vault. CAMP is your movable base, where you can rest, cook and craft all sorts of things in your Workshop. You will need things like cooking pot for making food and bottles for keeping clean water, which can be obtained by a simple process of boiling. Don't eat raw food or drink water with parasites, as it may result in all sorts of negative effects on your character's health. Just take your time and eat well, drink well, and rest well, as these are the most important survival elements of the game. Your CAMP also serves as the fast travel point, so place it somewhere safe. Set up a bed inside and take a nap whenever you need to restore health. Later on you will be able to regen health using Stimpaks, but in the early stages of the game sleeping is your best option. 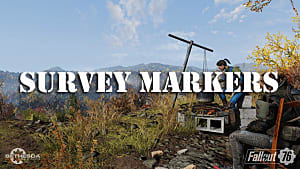 When you have your CAMP all set up, your most basic needs satisfied, and your first melee weapon and armor crafted at the Workshop you can start exploring the map. This is important for gaining experience and leveling up your character. 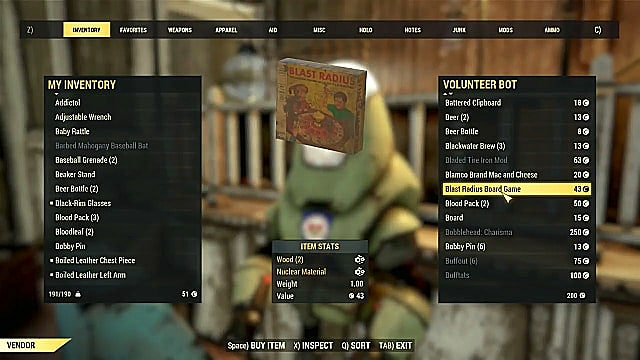 Every single piece of loot in Fallout 76 is valuable, simply because every item is unique and spawns only once. 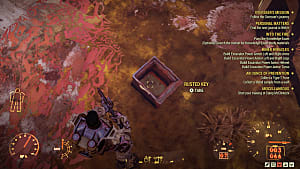 For example, if you've picked up items from a certain place, the other player who comes across the same location will not be able to get that loot anymore. That is why you should pick up everything you see, because next time it may not be there anymore. On top of that, every piece of junk can be turned into scrap, which in its turn can be used for crafting and repairing your weapons and armor or expanding your base. So make sure to fill your inventory with as much loot as you can find. 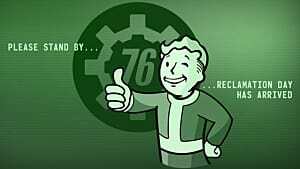 At one point, of course, you will find yourself overencumbered, and this is where you will need to use Workshop for utilizing all the junk you have picked up. This will lighten up you significantly, but that's not the only way to carry even more stuff. 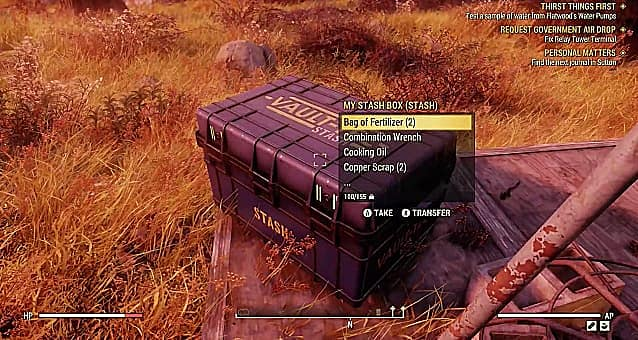 One of the best inventory management mechanics applied in Fallout 76 is the Stash system. You can find Stashes all over the map and keep valuable but not emergency stuff in them. Although Stashes are open for use to all players, you will find only your items inside them. Besides finding Stashes out in the open world you can build one inside your C.A.M.P. just like Workshop. But Stash is not always available, so it's much better to carry as much stuff as you can on your own. For this reason you can put SPECIAL points into your Strength perk, which will increase your carrying capacity significantly. It also makes your melee attacks much more dangerous. 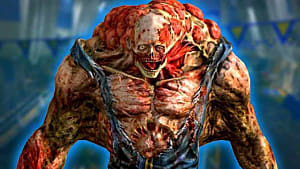 Lastly, there are certain mutations that can increase your carrying capacity even further than that. But that is not something you should rely on, and just use the safe methods described above. SPECIAL points and perks go hand-in-hand in Fallout 76. 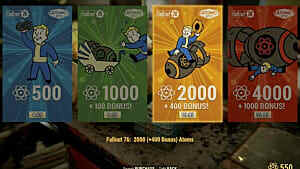 You will get points and packs of cards that define your perks when you reach a certain level. You can put SPECIAL points into your perks, thus increasing the number of active cards per slot. The maximum number of SPECIAL points per one perk is 15, which means that you can have up to 15 active slots. However, slots are occupied not by single cards, but rather by the number of stars in the cards. They can have one or more stars in their right bottom corner indicating how many slots each card occupies. For example, if you have five slots available in a perk, you can put either five cards with one star in them or one card with two stars and another with three, and so on. This means that you should pay close attention to which cards you include in your perk slots, as you will not be able to reset them later. In addition to your perks you can get a mutation that may have either a positive or a negative effect on your stats. You can get a mutation by letting yourself get irradiated. 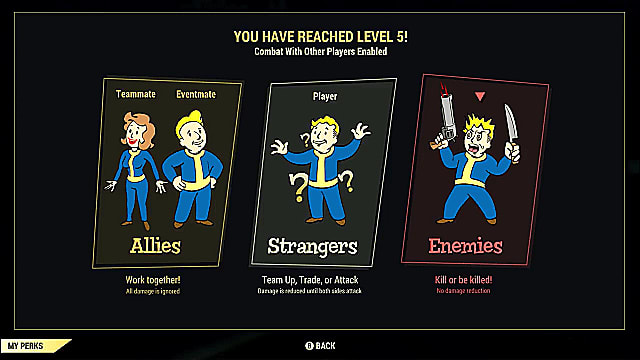 The pivotal moment of the game starts as soon as you reach level 5, which will opens up all the true dangers of Fallout 76. This is when you will get the option to either make friends or enemies. Obviously, it is better to play in a friendly manner as in this way you will achieve much more together. However, you will meet players who will openly attack you or one of your teammates, which will indicate that the time for some PvP action has begun. But you can avoid PvP and simply not engage. This simple action will protect you from getting a lot of damage, and even if the attacker will somehow manage to kill you, then the trouble awaits. Other players will be able to hunt them for a bounty. If you're traveling alone, never engage in a PvP combat with a group of players, which will most likely not go too well for you. Unless you are very well equipped and trust your build. Below you can find one of the better builds for your character that will work great up to level 15. You will be able to get all these cards before level 10, so if you are interested in building an effective early melee build, then take these perks into consideration. 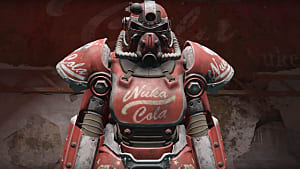 If you've played previous Fallout games from Bethesda, then you should be well aware that the best armor in the game is Power Armor. 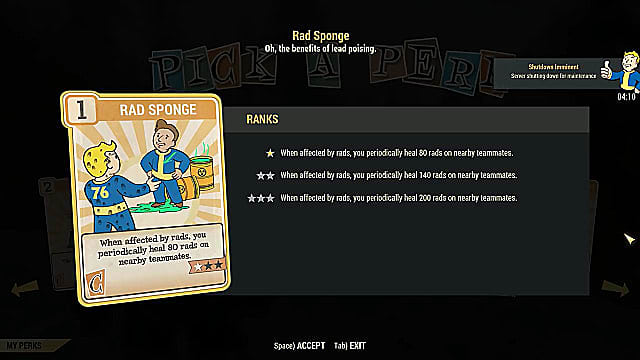 If you can find one early in Fallout 76, then you will be out of competition in both PvE and PvP combat. The best two melee weapons are both two-handed: Machete and Fire Axe. Machete can be easily crafted in the beginning of the game. These two weapons work great with the Slugger perk, which will further increase their damage. 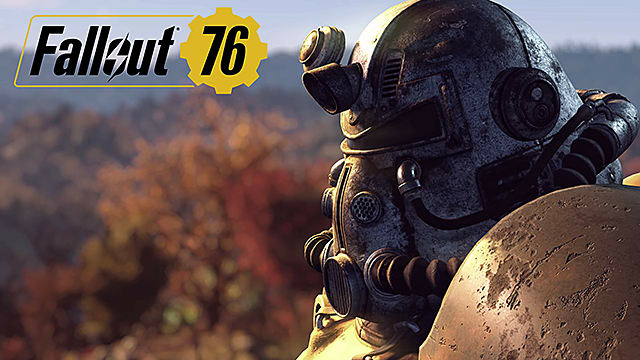 These beginner tips and tricks for Fallout 76 should help you start the game on the right foot, but be sure to come back soon for even more Fallout 76 guides here at GameSkinny!